No matter what your business is, starting a blog can and will make it better. Blogging has become seemingly inescapable in 2016. No matter what your sphere is, someone’s out there telling you to write a blog. “It’ll get your name out there!” “Blogging is how to find new customers!” But why exactly should you start a blog? Does blogging for small businesses really change anything? 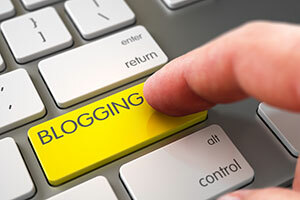 Small business blogs, when updated consistently, can make a difference to your business. You might be hesitant about writing a blog if you’ve never been a ‘writer’ before, but what matters is your command and understanding of your business niche, not necessarily the beauty or technical ability. Will Anyone Care About My Small Business Blog? The idea of starting a blog can be totally overwhelming. How often should I post, what should I write about, will people care what I have to say? The good news? People are always looking for fresh perspectives, and your voice is one of them. Thanks to the sprawl of the internet, there’s an audience out there for pretty much anyone with something to say. Roll-Off Dumpster Direct is a great example of a small business with a product that may seem difficult to blog about who is making the most of their content. Jason Albert, President of Roll-Off, posts to their blog about once a month. Starting your blog is the most important first step. Once you’ve posted at least once on your blog, that blank space will seem significantly less intimidating. Depending on your personal work style, you may want to have a few blog posts ready to go before you publish your first. If this is something that will motivate you to actually hit publish, build up that backlog! If, however, you know that you’ll need the pressure of a due date to produce your blogs, just get started with one blog. Throw it up on your site, and give yourself more due dates as quickly as possible. Either way, the best method for being consistent with your blog is deciding on at least four blog post topics before you start writing. If you’re planning on posting weekly, this will cover you for a month. If you’re posting monthly, you’ll have a full third of your year. Having an editorial calendar (sounds so official, doesn’t it?) is an easy way to keep yourself accountable. Consistency is important for any blogging program. If you don’t give yourself due dates, you’ll never achieve that. Don’t worry about blogging daily or even multiple times a week as you first start. Start slow and build your pace up to wherever you want it to be. The longer you keep up your small business blog, the more it will benefit you. Search engines and potential customers value brands that have been around for a while. A blog with a solid history makes it clear that your business is here to stay. As your blog continues to grow, your page and domain authority will grow for your whole website, not just your blog. This means that you are more likely to show up on the first page of search results. If you’re blogging about things that people search for, this will put you on the radar for prospective customers. Read our post on keyword planning to find out how to write about the best topics for search traffic. Bringing in new customers is obviously the end goal for any blogging done by a business – or even an individual. But you shouldn’t underestimate the impact your blogging can have on your SEO. These two are, of course, intertwined. Your (consistent, high quality) blogging will help your business appear higher on the main keywords you want to rank for.